I am sharing these photos that my husband took when me and my son was reading the book and a photo of my daughter and I at the hills that they love to play around all the time. For more 52 weeks entries, please visit the link above. Only two days left and the Smile contest will end, hope that you could cast a vote for my daughter before you leave my page. To cast your vote, please go to this link and look for this sweet smile. You look so cute with your kids!!! It's not hard raising the five. Because there are so many of them, they keep each other occupied! az n I agree w/ Lindz....u look like a lil girl! The first picture, I thought that was your daughter! Those are great. We love reading around our house too. The girls are old enough to read novels by themselves & they enjoy reading them to me now. Fun. cute pictures. Those are such sweet pictures! Reading time is truly the best! Those are wonderful and sweet pictures. Reading time is so special. Great job! those are really great! 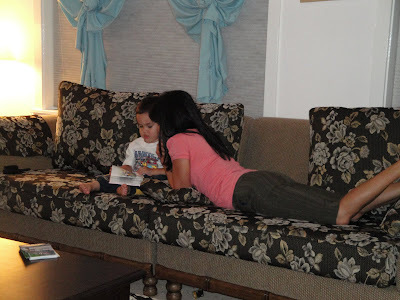 your lil boy looks like he is soo into reading and the last photo, u both look lovely! What a sweet family you have, great pictures of you and the kids. Thanks for stopping by! 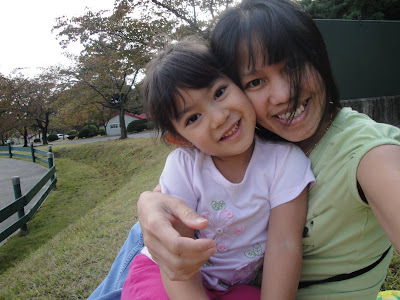 oh my,...so cute sis....love the photos....bonding moment...ehhehe! have a great weekend ahead....blog hop muna ako....had a rough day....we had a quiz kanina....hehehe! Sowe bakla now lng nakavisit ulit.Ulirang ina ka talaga bakla kahit bust sa blogging you always have time to bond with your kids. How did you manage your time?bilib ako as in. very serious si EJ..and nice picture of you and EJ, you look so much younger..ano ba ang sikwit..hehehe.. at yong isang pic nice pic din, you and Rylie are looking so happy.